Outreach is our free to use software that allows the Ultra and Joey systems to send their chip times over the internet using a gateway or inbuilt 3G modem. 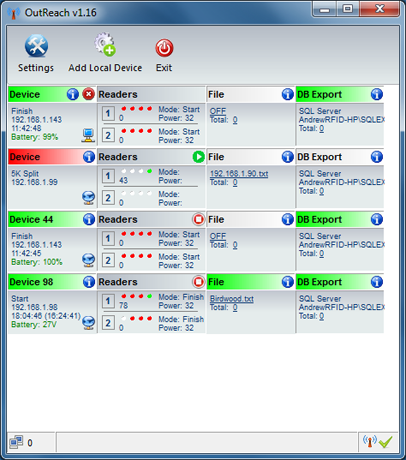 The data is received by a number of remote servers that save the data and relay it back to a computer running Outreach. The technique has been widely tested and improved over many races and years. Best of all the software and servers are free to use for any of our customers.